There are few franchises that haven’t benefited from the artistic talents of Italian artist Andrea Mutti. His artwork has serviced such legendary properties as Star Wars, Batman, G.I. Joe, The Girl With The Dragon Tattoo, The Shadow, Castle, Nathan Never, Tomb Raider, Iron Man, Mad Max: Fury Road, Conan and The Twilight Zone. 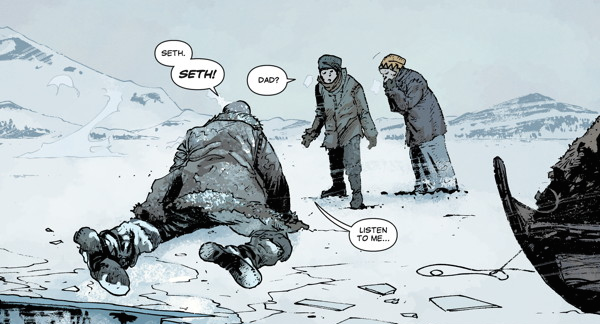 But one of Mutti’s greatest strengths is capturing moments and environments we haven’t seen before as he’s demonstrated in much of his independent work including stints on Rebels writer Brian Wood’s DMZ, Max Bemis’ Evil Empire, Jason Starr’s The Returning. 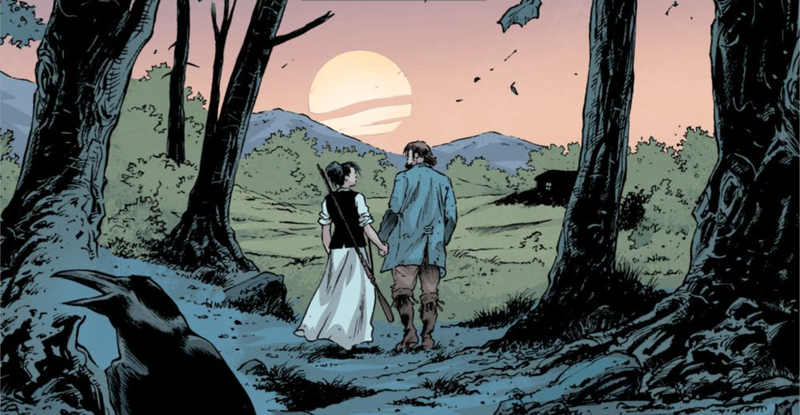 He’s currently reunited with Brian Wood on their newest series, Rebels, which chronicles the story of the American Revolution through the eyes of Seth Abbott, a founding member of the Green Mountain Boys militia. Andrea took some time from his very busy schedule to chat with FOG! about the book, his interest in history and his process. How did you get involved with Rebels? I worked with Brian on DMZ and Conan before Rebels, and we’d kept in touch. I’d send him new stuff all the time, and so Brian saw some of my historical art. He called me about the project, and I was very surprised and happy when he told me about this epic historical serial about the US Revolutionary War he’d been working on. He wanted to work with me on it…so that’s cool! You’re an artist from Italy. What drew you to a story set in rural Vermont during the Revolutionary War? Oh, I am a great fan of history, especially the United States War for Independence—as well as all the other US conflicts…the Civil War, the Indian wars. I really love that period of American history. The nation faced new challenges for a new world, a new, great country. America stood at the beginning of a really dusty and dirty period. It’s a period full of shadows and great stories to tell. I love the sometimes-gritty tales of the new cities. I am a pretty big geek about all of that! As an artist, do you enjoy the research aspect of depicting a set location, clothing, and weaponry that are accurate to a time period, or do you enjoy the freedom of creating from your own imagination? For this series I wanted to get really close to the details—much more than I can, of course—to the real things that existed in that period. We have few authentic items that remain, but there are several paintings or drawings that show lots of interesting details. The research is one of the most fun and interesting parts of the process. “Never stop learning” is the law of the land! You can discover several things, some not really well known—history is full of hidden truths, I think. 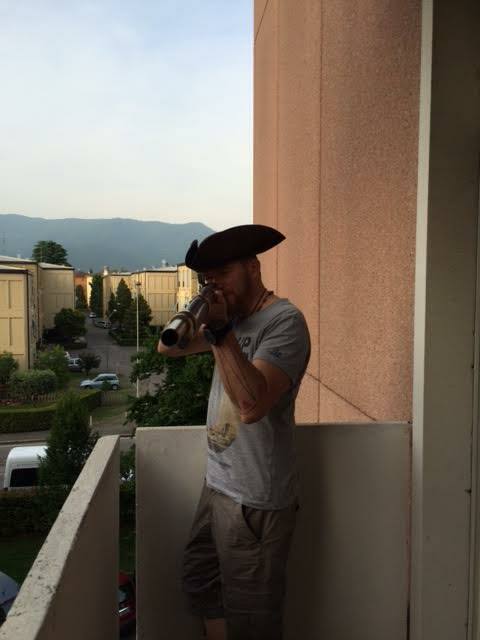 😉 I bought muskets, tricorns, pistols, and all that I could find to use as reference. It’s a good way to build anything with different details and moody, realistic art! There are several dialogueless sequences that are really captivating and do a fantastic job of depicting Mercy’s day-to-day life. Are these pages more pressure to execute, since they don’t have action or dialogue to fall back on? This is not the classic series that shows the battle, the fight, and the good and the evil forces in conflict. It is a deep story about normal people that live in a great and incredible period. That is the point of the story. It is not a simple chronicle of events with bits of fiction here and there. It’s realistic; it’s a story about a father and son, wife and husband, men and women. We are in the real lives of these people. We are not distanced from them; we’re next to them. We are there with Mercy in the calm moment alone in the woods. Let me explain exactly what I mean: A young girl alone in a pretty hostile forest—imagine the feeling of that. What an adventure! Rebels #3 is in stores this week. Tomorrow check back for our interview with Rebels writer, Brian Wood.